The third installment in the "Lars Behrenroth presents Various Shades" series on Deeper Shades Recordings features eight deep house tracks by eight producers from four countries. Carefully selected and compiled by label head Lars Behrenroth, this mini compilation is yet another excursion into the different shades of deep and includes music from South Africa, Canada, Germany and the US to be enjoyed as a cohesive release or individually as perfect additions to your late night DJ sets. "lovely project..picks: rumba soul & shake to shuffle! eyes yd'e open is hot as well :) definite support!!" "The package is Freshly Deep. Loving the Mover's Groove track. " "All i can say is WOW!!! 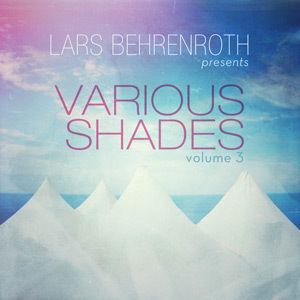 Super selection from Lars, This is going to cause a stir on the dance floors across Johannesburg, WE LIKE IT DEEEEP!!!" "Awesome package for sure. Will definitely support this big time!" "great selection, and great atmospheres here, quality is just amazing, solid deep house"
"Deeeeeeeep as fffffffffffff ...! Another ESSENTIAL volume showcasing Deeper Shades talents... Full support"
"Nice comp, but in particular loving the DJ Embassy track here thanks..."
"Loving these some sublime deep monsters !!" "yes, a mighty fine release, very deep, found a few nuggets on here...stand-out for me was the "Rumba Soul" from Ethnique Fusion... thanks, will definitely play & support!" "I'm loving this. Great Job. Shade by Shade - Deeper you go!" "very good collection of deep moods, i will play a few ones specially Oceanic Shades. gracias!" "Epic package to start the year with. FIRE!" "We're gonna make it short and will not bore you with long lists of artists or track titles. Instead, we will concentrate on the essence of this phenomenal release on Deeper Shadings Recordings which features eight tracks from South Africa, Germany and the US, all hand-picked by label head Lars Behrenroth: "Various Shades Volume 3" is an ultra strong package loaded with nothing but the best in ingenious deep house music, taking you on a breath-taking journey through the different flavors of deep house, with each of the tracks guaranteed to send shivers down your spine..."